If you’re at all familiar with the Saint Rose campus, I’m sure you’re aware of our beautiful Interfaith Sanctuary. This building is home to many amazing clubs and services such as yoga classes, guided meditation, the newly formed group Art and Soul, and one of my personal favorite groups, Better Together, an Interfaith Service Campaign. 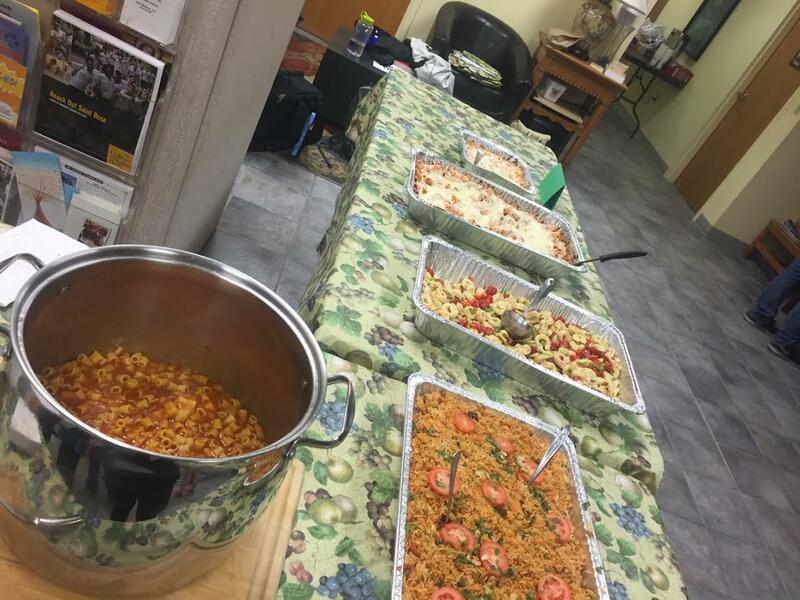 Some of the delicious food we shared at Supper in the Sukkah! Better Together has existed in many forms over my years at Saint Rose, and this year our first mission was to build a Sukkah, in honor of celebrating the Jewish holiday of Sukkot. As a way to not only celebrate Sukkot, but also harvest holidays from other faiths traditions, we hosted “Supper in the Sukkah”. This was a night of interfaith conversation, as well as a time to come together and share a homemade meal (the majority of which was made by yours truly). This event opened my eyes to the rich religious diversity that our campus has, and inspired me more than ever to not be afraid to celebrate a part of my identity even more on our campus! In addition to hosting interfaith events, we as Better Together have also enjoyed exploring different religious services and worship centers. This past Saturday happened to be the 22nd Anniversary of the Grafton Peace Pagoda, a Buddhist temple about 45 minutes from our campus. 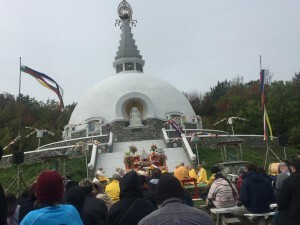 The service at the Peace Pagoda not only included prayers for peace from the Buddhist faith tradition, but also interfaith prayers that made the entire community feel welcome. Our time at the Peace Pagoda was a really new experience for me. It amazed me how so many people, including those from our campus, could come together for something great, regardless of anything they may or may not believe in. The beautiful Grafton Peace Pagoda Anniversary Service! So what do the tales of these events mean for you, the curious reader of my blog? Take this knowledge as a reminder that who you are on our campus is something to be celebrated! Remember that it’s okay to celebrate what you believe in, and for that matter what you do not believe in. Remember that Saint Rose is a community where acceptance is valued, and that everyone should have a place they feel comfortable and welcome. And most importantly, remember to look out for upcoming Better Together events happening in the future!